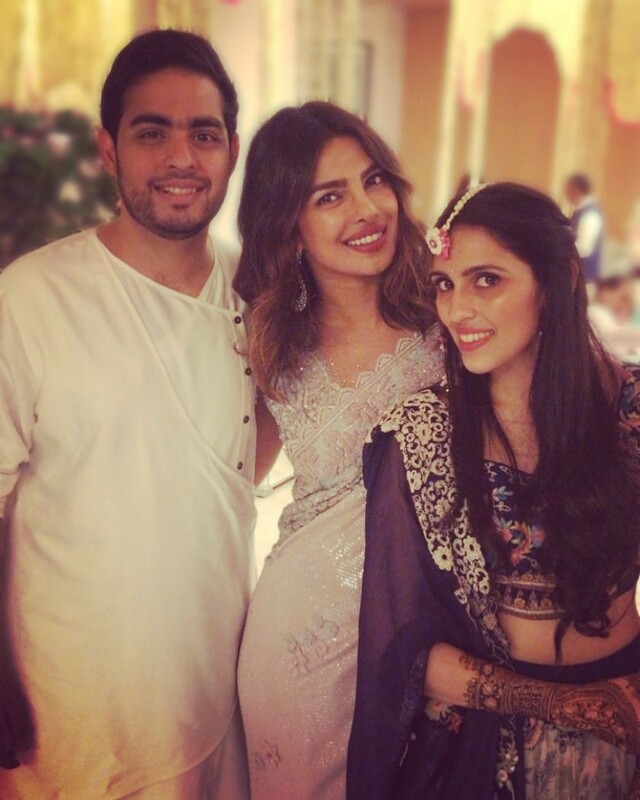 Actress Priyanka Chopra on Wednesday attended Reliance Industries Chairman and Managing Director Mukesh Ambani and Nita Ambani's son Akash Ambani and his bride-to-be Shloka Mehta's Mehendi ceremony at their residence. Priyanka later took to Instagram to shower love on the couple. "Congratulations Akash and Shloka! Such a beautiful ceremony. Mehendi hai rachne wali. Love you both. 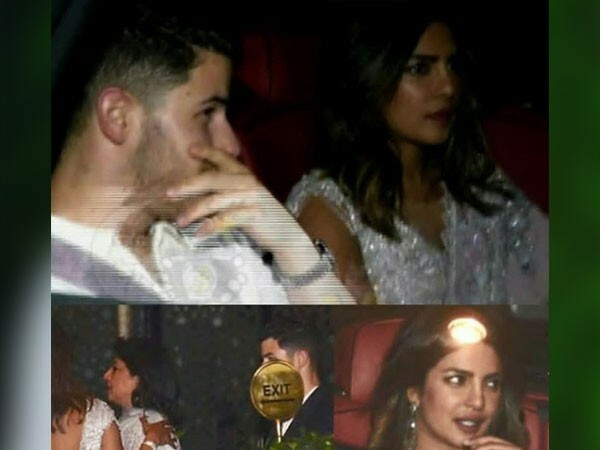 Pre, pre engagement party," Priyanka wrote alongside a photograph of herself with the couple. For the occasion, Priyanka opted for a white sari from designer Tarun Tahiliani. The actress completed her look with a bracelet and earrings. Meanwhile, Shloka opted for a traditional navy blue and cream lehenga laced with heavy embroidery. Keeping her hair open, she completed her look with round earnings and pink lip shade. Shloka is the youngest daughter of Mona and Russell Mehta, who run Rosy Blue Diamonds. Mukesh and Nita Ambani hosted a party for them in March after they decided to get married. The party was attended by Bollywood celebrities like Shah Rukh Khan, Aishwarya Rai Bachchan, Katrina Kaif, Karan Johar and Kiran Rao among others. Akash and Shloka's engagement ceremony will be held on Saturday. A wedding date is yet to be finalised.